The DuPage County law firm of Kent A. Gaertner, P.C. is honored to announce that founding attorney Kent A. Gaertner has been selected by the DuPage County Bar Association (DCBA) as the organization’s “Lawyer of the Year” for 2017. Mr. Gaertner received the distinguished award at the President’s Ball and Installation Dinner hosted by the DCBA at the Drake Hotel in Oak Brook, Illinois on June 9, 2017. Having held numerous leadership positions with the Association, Mr. Gaertner has shown consistent dedication to the DCBA and its mission. 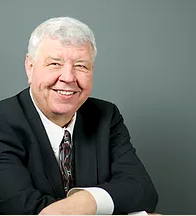 He served as the DCBA President from June 2009 to June 2010 and is also a past President of the DBCA’s charitable arm, the DuPage County Bar Foundation. In addition, Mr. Gaertner served for five years as a Director with the DCBA, is a former member of the Audit Committee and Executive Committee, and is a past Chairman of the DCBA Judiciary Committee. He was also instrumental in the creation of the Association’s first Bankruptcy Committee, serving four times as Chairman of that Committee. Last year he was named the first Chairperson for the DCBA Senior Lawyer Section. Mr. Gaertner also serves the legal profession at the state level as an elected Delegate from DuPage County to the Illinois State Bar Association Assembly. He was elected to the ISBA Board of Governors in 2015, after serving previously on the ISBA Section Council on Marketing and Communications and as a Hearing Board member for the Illinois Attorney Registration and Disciplinary Committee. Mr. Gaertner is also a past Chair of the Bankruptcy Subcommittee of the ISBA Section Council on Commercial, Banking and Bankruptcy Law. In his practice, Attorney Kent A. Gaertner has focused on bankruptcy law for more than 35 years. He has earned a reputation as an attorney who advocates tirelessly on behalf of debtors and creditors in bankruptcy proceedings, work-out situations, and non-bankruptcy reorganizations. Since 1979, Mr. Gaertner has helped thousands of clients, including consumers and businesses, obtain favorable outcomes. Several of his cases were chosen for publication by the United States Bankruptcy Court. Since 2013, Mr. Gaertner has been named a “Super Lawyer” by the Leading Lawyer Network. Mr. Gaertner has been honored by his peers with a Martindale-Hubbell Peer Review Rating of AV Preeminent, the highest rating an attorney can achieve. In the March 2016 issue of Leading Lawyers Magazine he was named one of the top ten individual bankruptcy attorneys in Illinois. About the firm: Kent A. Gaertner, P.C. has been practicing bankruptcy law since 1977. Located at 300 S. County Farm Road, Suite I/J, Wheaton, Illinois, Attorney Gaertner can be reached at 630-510-0000.